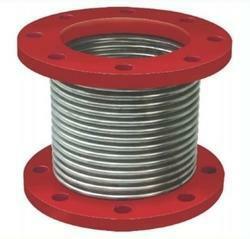 Metallic Expansion Joints are the expansion controls in pipelines, ducting & vessels which undergo large temperature variations and thus are a major problem. Our products are 100% tested for dispatch and the test certificates are provided to the end user. We can fully customize the product as required by the clients specifications. 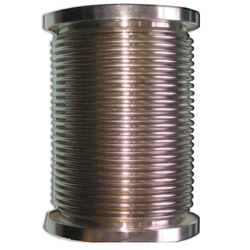 Owing to our rich industrial experience and expertise,we are engaged in dealing a wide range of Cuff End Exhaust Bellow. Our range is widely known for its excellent service and low maintenance. These are extensively used in exhaust and auxillary pipeline of lubricating oil and cooling water for large number of reputed Diesel Engines like Alco, Caterpillar, Wartsila, Allen, Cummins and many more. Fixed Flange Exhaust Bellow provides expansion compensation and vibration isolation for the engine exhaust system. We specialize in providing DG Exhaust bellows as well as DG Manifold bellows. These bellows are specifically made to suit to the clients needs and specifications. 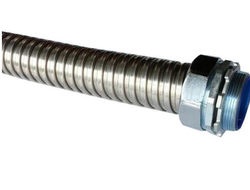 Metallic Flexible Connector with Union Ends are designed as general all - purpose connectors using corrugated SS 304/316 Stainless steel pipe with steel unions TIG welded at its ends. Accommodates Lateral Misalignment And Thermal Movements. 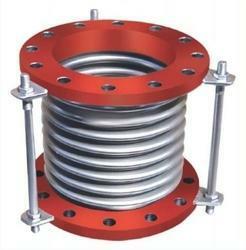 Looking for “Metallic Expansion Joints”?